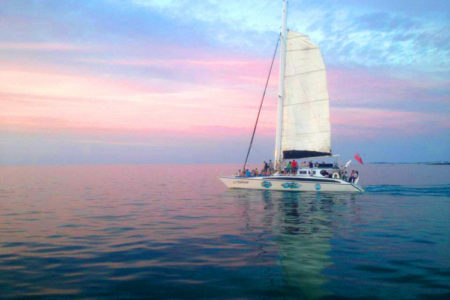 Take in a Bermuda sunset in the most relaxing and enjoyable way possible: on board a luxurious catamaran. A peaceful sailing experience is joined by a fun commentary from your knowledgeable local crew and unlimited rum swizzle. There’s no better way to enjoy your evening than with cocktail and camera in hand, enjoying an unparalleled view of the sun disappearing into the horizon.